No matter our jobs, no matter our monthly income, we all deserve a healthy lifestyle. Health is wealth as they say, and so it starts with the personal we and this is the 21st Century. Nowadays, almost everyone has access to gadgets. Almost everything is automated and they are really affordable, at least when compared to a few decades ago. However, not all of us are living healthy. By this, we mean that there are still so many things we’re ignoring, which shouldn’t be actually. 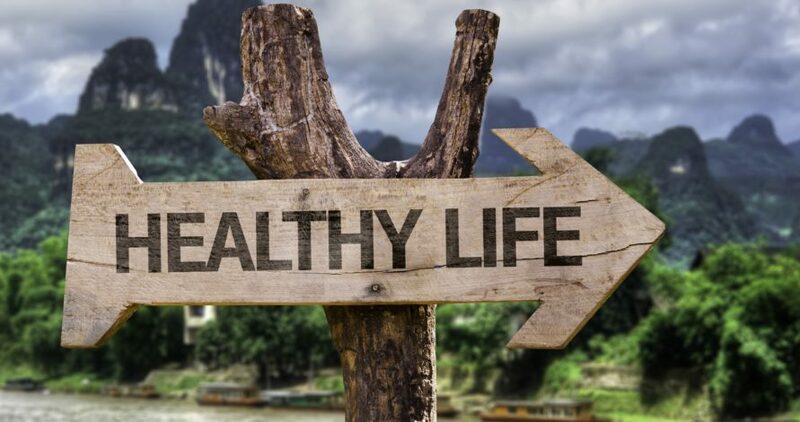 Our healthy lifestyles begin with the food we eat, the ways we exercise our bodies and up to the sleep we take and much more. It is cheaper to stay healthy than treat sicknesses, and we should take that to heart. There are some things that determine how healthy a lifestyle we’re living and we will see them below. It really doesn’t cost much to live health; it’s almost free of a truth. It touched almost every aspect of our lives and we should take note of that. Starting from the air we take in, the food we eat, the water and other beverages we consume and up to the exercise we take part in. – The food we eat: The foods we consume seriously have impacts in our lives. You should take in food containing the balanced diet, and make sure to take enough of fruits and vegetables on a daily basis. Calcium, iodine and other minerals are also very essential. You should minimize intake of salt to the maximum. – The beverages we consume: Are you a fan of beverages? Well, sugar isn’t so good for our health. Rather than take mineral beverages, why not invest in milk and fruit drinks? Water is ever the best beverage and you should take at least eight glasses daily. – The lifestyle we live: Smoking, drinking and other unhealthy habits damage our organs and body parts very well. You should avoid drug dependence and rather use nutritional therapy. Drugs have worse side effects than the good they do to us. – The cleanliness of our environment: Dirtiness is a major cause of diseases like cholera, which should have been minimized with cleanliness. How often do you take your birth, brush your teeth and wash your clothes? How neat are your toilets and bathrooms? How often do you sweep your house and mop them? These things matter a lot. The food we eat and the water we take in should be neat to help us live better. – The exercises we take part in: How often do you exercise? DO you know that exercises are very good for you? Stop sitting all day long, and try taking long walks. Swimming, joggling, foot balling and other sports are also good for your mental and physical health. There are some gadgets that will help you live a healthier life. There are so many of them in our first aid kits such as Best stethoscopes, however there are yet more. These gadgets help us check our daily activities, preserve our nutrients, exercise ourselves and live better generally. 1. Hyperice Vyper Foam Roller: The Vyper helps us to loosen our muscles post workout by the use of vibration and pressure. They have many forms, and are available in up to 5 colors. They are helpful to different muscle groups like the shoulders, feet, lower calves and back. 2. Yonanas: You can use the Yonanas to place any of your frozen fruits directly into the unit and then it brings out a delicious, smooth and soft-served ice cream having no additives. It makes your ice cream really sweet and delicious. They are really very helpful. 3. The KOR Navar Water Bottle Filter: As I said earlier, you should take in enough water on a daily basis. However, we’re not always at home and so need a water bottle to take the water we need for our daily activities. This water bottle does the whole job. They have a coconut flavor filtering system that makes water taste really great. 4. MATCHCo: This is an iPhone app using smart technology to help us find the perfect foundations for our skin tones. This is really a great innovation, and it helps you find the perfect blend for your skin. 5. The Polar A360 Fitness Tracker: You need a service like this for tracking your daily exercise. This is to help ensure you get the best results. It is a mobile phone application. 6. Calm iPhone Application: They help us track our meditations for a better and lifestyle. The major goal of the service is to provide us with structure of our daily programs using some guided relaxation or meditation techniques. 7. The Netamo: This does the job of helping us to maintain a constant healthy indoor environment. They are constantly monitoring the four major atmospheric conditions: air quality, humidity and noise level. Kamlesh Kumar is Digital Marketing and PR Expert. He helped Many Companies to get Rank in Google. Right now Working With Top level Brands.